First Identify Input Pin and Voltage. Second Identify Second Identify Power Ground. Then re-wire your defective Pin Assignment to our universal inverter. 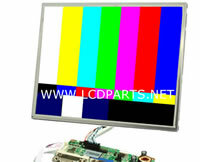 Turn on your display, if there is no display, please reverse ADJ and Enable pin. cture disappear while adjusting brightness, please reverse ADJ and Enable pin. So, the next few sections, we just show you how to identify Input DC Voltage Pin and Power Ground. 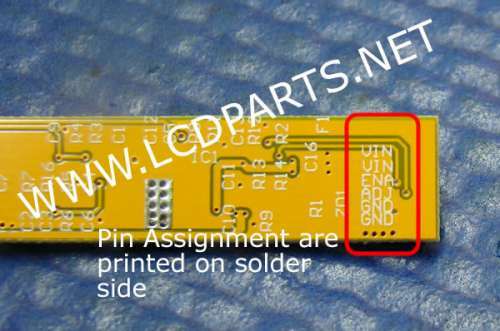 Some manufacturer do label the pin assignments on PCB (Printed Circuit Board), So, Please take a closed look on your inverter’ Input connector. 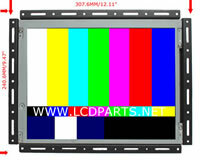 All of inverter has an input filter capacitor (Typically for Desktop monitor and LCD TV Inverter). The positive pin is connecting to Input voltage supply and the negative pin is connector power ground. Set your Multimeter on Resistor range. 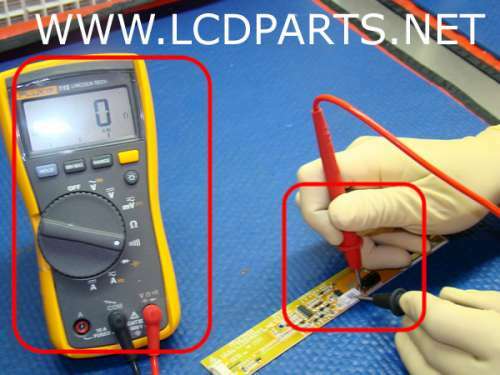 Measure the resistance between the positive pin(Capacitor) and Input Connector Pins. The DC Volt Input pin should show 0 hom resistence. Measure the resistance between Input Connector Pins and Metal chassis. The power gound pin should show 0 hom resistence. 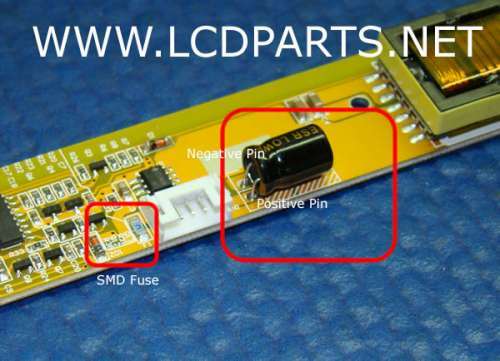 For Laptop or other small and compact size inverters, it would be much easier for you to locate a SMD Fuse in stead of Capacitor(Photo shown below). 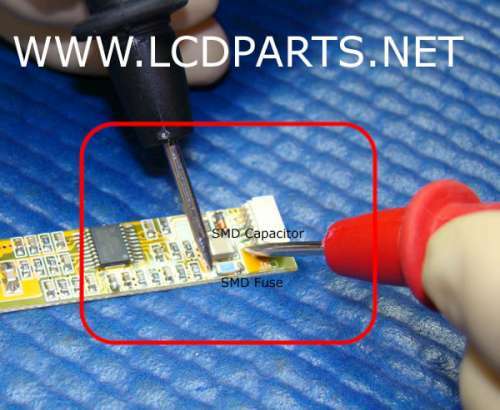 Measure the resistance between the SMD Fuse and Input Connector Pins. The power gound pin should show 0 hom resistence. 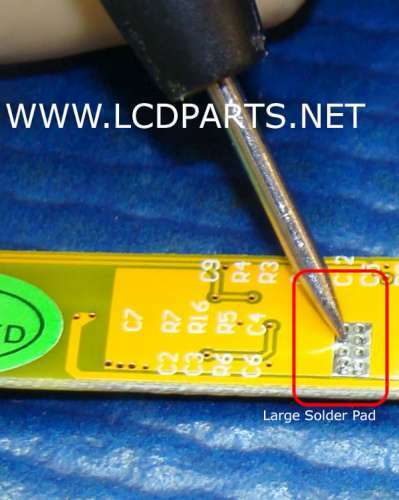 The power ground is usually has a large solder pad on the solder side, so, locate the solder pad, measure the resistance (R=0 ohm) between the large solder pad and Input Connector’s Pin to fidn which are Power Gorund Pin.